Durable, lightweight, wearable automatic single-line 1D barcode scanner. 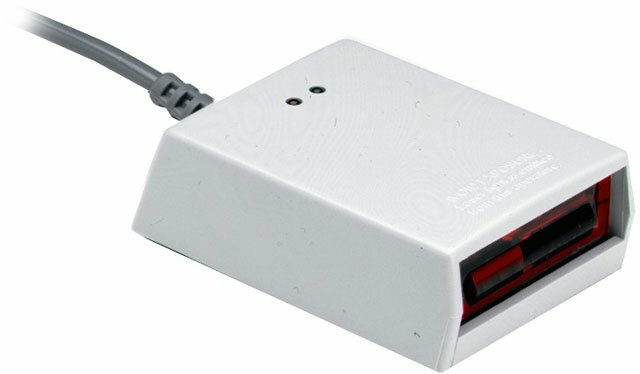 The Metrologic IS4225 is a durable, lightweight, wearable automatic single-line 1D barcode scanner. It improves productivity by increases scanning flexibility. The IS4225 increases scanning mobility by mounting the scanner to the back of your hand and connecting it to a portable data terminal. The IS4225 can also be used as a compact fixed mount presentation scanner. The automatic scanning feature facilitates speedy operation by eliminating the need for repeated button presses. The Metrologic MK4225-72A50-US is also known as Metrologic Instruments	MET-MK4225-72A50-US	or MK422572A50US	.